At Gustavus, students find answers to questions through discovery and imagination. Physics students minor in art or music, theatre students minor in chemistry and English, and economics students minor in peace, justice, and conflict studies. Students get involved on- and off-campus, making a positive difference in the world by acting on the great challenges of our time. Inquiring minds become sharing minds, and at Gustavus you’ll leave with more than a major and a diploma. You’ll be a part of special community. You’ll be a good citizen. You’ll be passionate about not just identifying problems, but acting on them. Join us at Gustavus and make your life count. 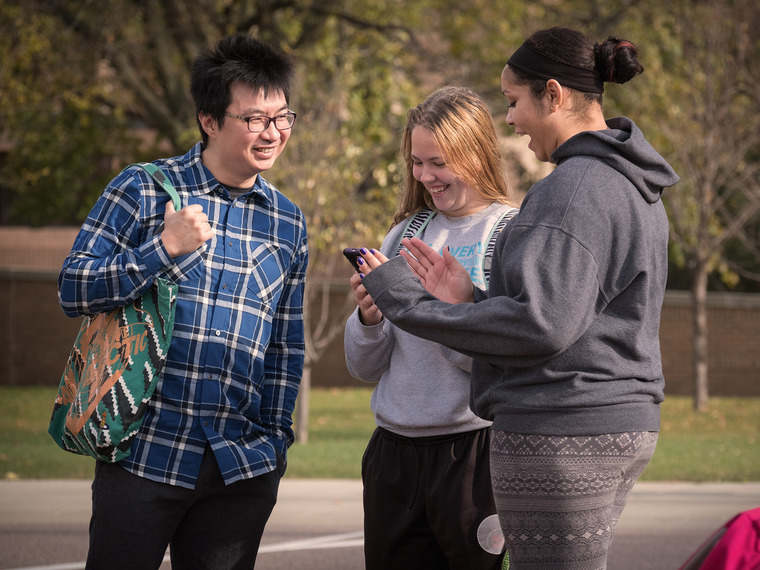 Come to campus and see all the reasons why Gustavus just might be the best college for you. 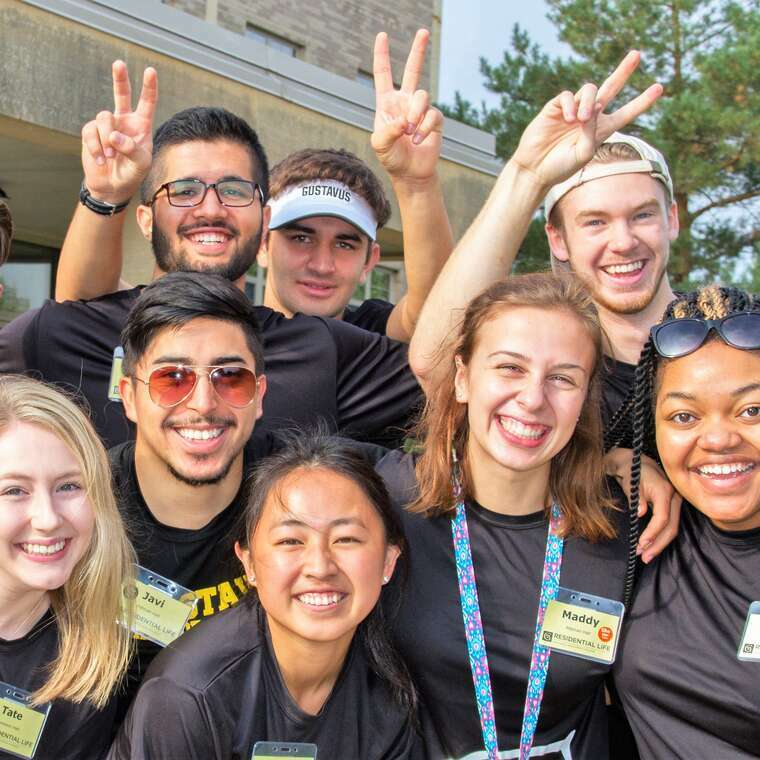 With a variety of visit options, you can customize your experience with professors, coaches, or conductors, and even stay overnight to see what life as a Gustie is all about. We believe that the admission process shouldn’t be a hassle, it should be a conversation. Tell us about you – your strengths, your passions, your interests, your background. We’ll tell you all about us. Whether you’re a first-year, transfer, or international student, we’ll answer all your questions about the college application process. Enrolling at Gustavus means figuring out how to pay for college. Whatever your financial circumstances, we’ll help you through the process and show how much of a value we are. You’re worth the investment. We are too. We'd like to get to know you better, so feel free to tell us who you are and what you are interested in. This will help us find your perfect fit on campus. Our staff is here to help you and your family complete all the steps to get you on campus. From application, to visits, and beyond, we're happy to be your guides. 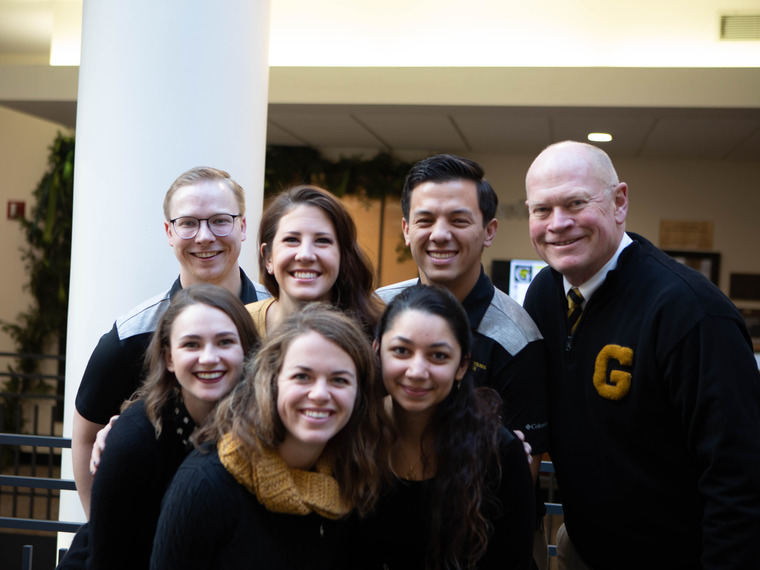 You have a lot to learn about Gustavus — and we have a lot to learn about you. No matter where you are in the process, we're here to answer your questions.